It’s not practical for most people to try to visit Antarctica, but the next best thing is to watch a documentary film like “Antarctica: A Year on Ice” by Anthony Powell. The only thing more that I could ask for is Imax 3-D, which might require a large film operation (like National Geographic) to pull off. The base is operated by the United States Antarctic Program of the National Science Foundation (in Ballston in Arlington VA). Actually, my own grad school (KU) has offered cruise tours of Antarctica in the past. The film traces a year at McMurdo Station, emphasizing the life of the people who work there, over 5000 in the summer, and 700 in winter. The sun goes down at the end of April and doesn’t reappear until the end of August (the coldest month because of elapsed months with no sun). McMurdo is on the Ross Sea, and is the southernmost port in the world, at 77 degrees S latitude. As for longitude, it is directly south of New Zealand, the nearest major country for military cargo plane flughts. In fact, the film starts with a shot of Christchurch. One of the most stunning visuals in the film is that of the southern aurora (green – photo , and of the Milky Way, with the ability even to see nebulae with the naked eye. I thought this would be impossible at sea level. Other major shots of the dry valleys (site with many pictures), said to be the closest environment to Mars on Earth, are shown, as well as the crater of the volcano Mt. Erebus (observatory site ). Life for workers at McMurdo occurs in close quarters with bunk beds, very much like what would be encountered in the Navy. The official blog for the film is here (Music Box Films and Antzworks (New Zealand). I saw the film before an ample audience at the Landmark E Street in Washington DC on a Saturday afternoon. Other films for comparison would be "The Endurance: Shackleton's Legendary Antarctic Expedition" (2001), which I saw in Landmark's Uptown Theater in Minneapolis then when living there, and "March of the Penguins" (2005), by Luc Jacquet, narrated by Morgan Freeman. This new film shows penguins and says they have the intelligence of chickens. But the hardships they will endure for mere procreation are amazing -- the males nurture the eggs. As I left the theater an traversed Columbia Plaza at Metro Center, I encountered a homeless woman with a shopping bag illustrated with around-the-world travel. I gave her a small donation for offering the public the instant “vacation tour” of the planet. 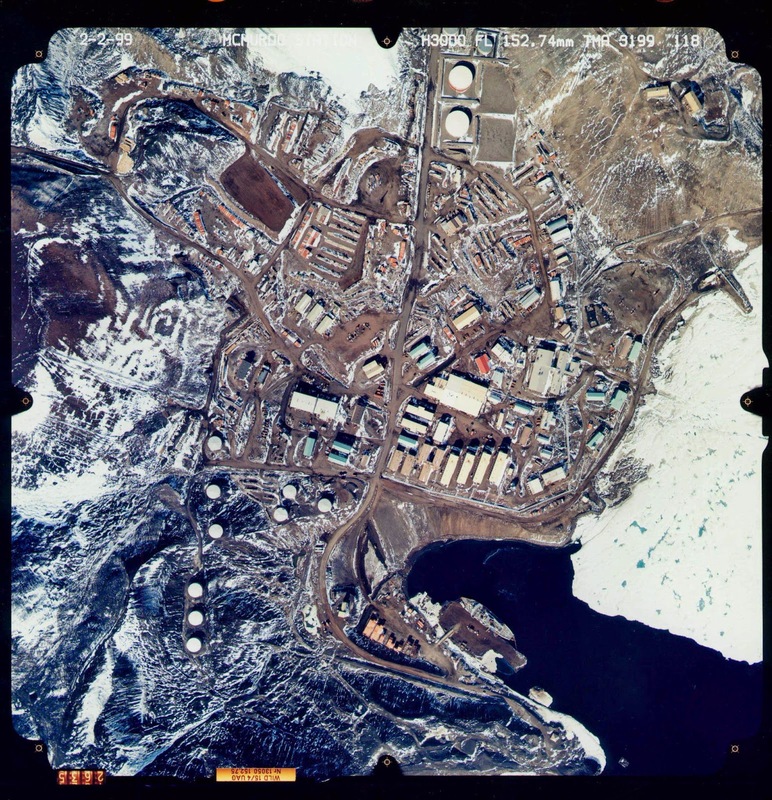 Wikipedia attribution link for aerial shot of McMurdo base (pd). Note how you spell the name of the continent -- it's tricky.